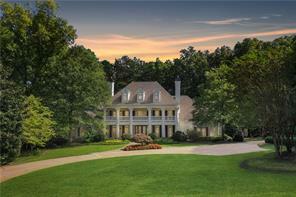 Atlanta National Luxury Homes for Sale in Fulton Co. GA 30004. 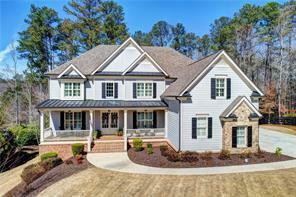 Find luxury homes for sale in Atlanta National a gated golf community North Fulton. Atlanta National Luxury Homes for Sale in Atlanta Georgia. Atlanta National is a sought after 24 hour gated private golf community that is just north of the city of Atlanta in one of the most beautiful areas of the North Fulton County known as the Crabapple area. The golf course is stunning and set on over 200 acres! The Atlanta National community is also set on over 800 acres yet it is conveniently located near shopping and roads for commuting. The Crabapple area abuts Roswell, Alpharetta and the newly formed city of Milton GA! Atlanta National Golf and Country Club is a highly sought after luxury homes gated golf community in this area. Search listings for Atlanta National luxury homes and private estates listed for sale in North Fulton County GA. View photos and virtual tours of Atlanta National homes, property information and more! If you are buying or selling a home or real estate in Atlanta National, please feel free to contact us! It will be our pleasure to assist you! 1) 13955 Atlanta National Drive, Milton, GA 30004, Fulton Co.
2) 13955 Atlanta National Dr, Alpharetta, GA 30004, Fulton Co.
3) 325 Crooked Stick Drive, Milton, GA 30004, Fulton Co.
4) 635 Glen National Drive, Milton, GA 30004, Fulton Co.